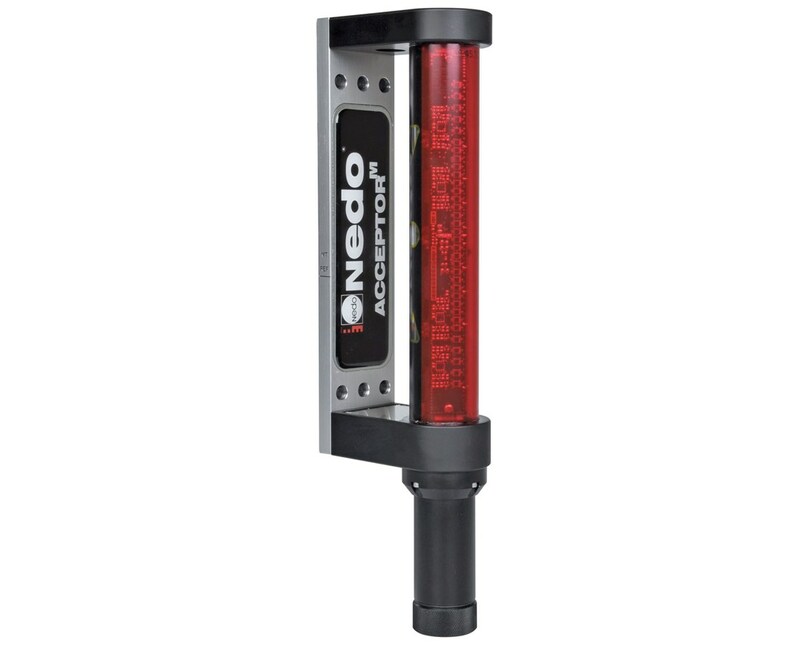 The Nedo Acceptor M Machine Control Receiver is a sturdy receiver designed for excavation jobs. It can withstand harsh outdoor conditions as it is splash proof and dustproof with and IP 65 rating. This receiver has an easy-to-view display and very bright LEDs that allow it to be seen from excavator cab. 12 strong magnets provide a firm attachment of the receiver to the dipper arm and rubber studs prevent it from slipping. It also has a signal tone which can be deactivated when desired. 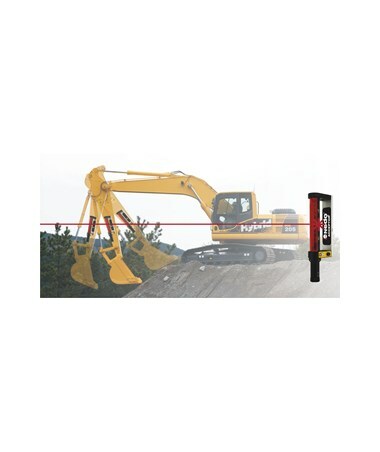 This excavator laser receiver features a switchable tilt compensation of up to 30 degrees that allows more precise work, a 220-degree laser beam reception angle, and a detector field length of 190 millimeters. 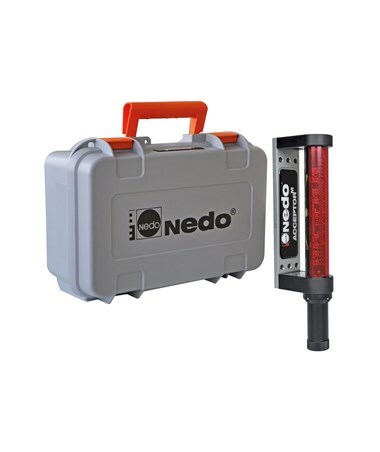 It has three precision levels with resolutions of 4, 8 or 12 millimeters. 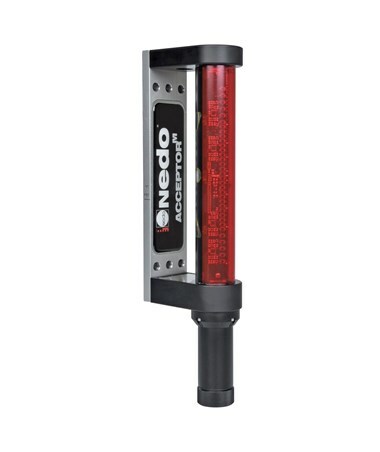 Powered by a 1.5-volt mono-cell battery, it can operate up to 45 hours. The excavator receiver ACCEPTORM has a very sturdy build and design and is suitable for all rotating lasers with wavelengths from 600 to 780 millimeter.